Sheikh Imran Hosein: Morris yes, it is an honor to be invited one more time to be on your program – I’m honored. And I hope that our exchange of views tonight will be of benefit to our viewing audience. I would like to begin by pointing out that this is not the first Arab Spring – No! That there was another Arab Spring about a hundred years ago. And there is a remarkable similarity between the two Arab Springs. Both of them were engineered by the same Anglo-American Western Alliance. Both of them had the same objectives of advancing the Zionist agenda to further the cause of a Euro State of Israel which would eventually become a ruling state. In that first Arab Spring, remember - that the Ottoman Islamic Empire which has served Western Europe very faithfully while plunging a bloody knife for almost six hundred years into Eastern Europe - what the Qur’an refers to as Rum - that Ottoman Islamic Empire which had served the cause of Western Europe so faithfully for almost five, six hundred years was dismantled and in its place came pro-Western Arab rulers. For example in, in Arabia the Saudi regime came to power with her very faithful agenda of aligning themselves with the Anglo-American Alliance -the Zionist Alliance. Similarly, in other parts of the Arab world that were part of the Ottoman Empire - pro-Western rulers were all put in place. And in consequence of that first Arab Spring - Israel could be created. Had there not been that first Arab Spring - Israel could not have been created. The second Arab Spring is taking place and it’s - it’s purpose is to take the Israeli State one step further to its culmination really where… The Libyan regime was unwilling to become a client and an ally of the Anglo-American Zionist Alliance. And that is the basic reason why it had to be removed. And so Morris - history is simply repeating itself one hundred years later. That Arab Spring and this Arab Spring show remarkable similarity. And now we come to Iran. And we see an Iranian regime which has its roots in its indigenous culture, indigenous religious values and is unwilling to bend its knee to Anglo-American-Israeli Alliance. On the contrary it has successfully forged - what may be called an Alliance with Russia and therefore it has to be punished – and it has to be removed. So we don’t need any sophisticated political analysis to understand what’s happening today . In the case of Bahrain - Saudi Arabia was not willing to allow the Arab Spring to reach Arabia. So Saudi Arabia moved swiftly to cover for all possible demonstrations that could endanger the regime. And Saudi Arabia was not willing to allow the Arab Spring to reach to Bahrain. And so Saudi Arabia intervened and my understanding is that they also paid for Pakistani mercenaries as usual, mercenaries - they paid for it to go into Bahrain and to prop up the monarchy in Bahrain which happens to be Sunni. But it’s not so much Sunni - Shi’a conflict in Bahrain - No! Because the regime is there because of lust for power. Whether it was Sunni or whether it was any other religious affiliation - it is this lust for power. So we cannot blame the Sunni creed for the behavior of the regime in Bahrain. And they have used their power to oppress the Shi’a majority –barbarous oppression in Bahrain. And the purpose for that oppression was that Saudi Arabia would feel endangered and threatened if the Arab Spring were to successfully bring about regime change in Bahrain. But the same people who have pursued this barbarous agenda in Bahrain - ruthless oppression of the Shi’a majority in Bahrain and also Sunnis in Bahrain who are opposed to the regime - it is these same forces who are calling for “democracy and freedom” and “rights” in Syria. But it is clear that that those who are now the rump which is now left that is fighting in Syria against the regime have to be described and there is no better word to describe them than terrorists. They are not “freedom fighters” – they don’t represent Islam - the religion – they are paid terrorists. I want to say this on your program for the first time - that I label them as “terrorists”. Morris: Very potent that you are saying this. Sheikh Imran Hosein: So that’s my take on Bahrain and Syria. Morris: I’m - I’m quite shocked. I also feel you mentioned Iran in a respectful manner recognizing that it’s perhaps becoming the best voice there is for the Islamic world or – you know – pragmatism – real world politics. Iran is now - is now the only strong voice left – would that be correct - to protect Muslims, Arabs, Islam? Sheikh Imran Hosein: The regime in Iran demonstrates greater integrity – religious integrity than most of the other regimes in the world of Islam. For example, Prophet Muhammad saw - Allah’s Blessings be upon him prophesized – this is his prophesy - that Muslims are going to form an alliance with Rum. It’s spelt it is pronounced R.O.O.M. – room - but the Arabic word Rum it describes Eastern Christian - Christianity when they broke away from Constantinople and they formed the Church in Rome – the Roman Catholic Church. Then you had two Christianities – one of the East - the Byzantine and one of the West which is now Rome. So the one in the East was called Rum - and in the Qur’an Allahswt refers to it as Rum. And when Muslims conquered Constantinople in a conquest which was largely shameful, uhh? and embarrassing for Islam - when they conquered Constantinople then Rum was transferred to Moscow. And so today Rum is Moscow and the allies of Moscow. So the Prophet saw prophesized that we Muslims would make an alliance with Rum. Today who is making an alliance that alliance with Rum? Who is showing religious integrity? It’s not Saudi Arabia which is allied with the Anglo- American Zionist Alliance. Rather it is Iran. And now Pakistan finally - since the sword is at its throat now – because India is lusting to attack from the East and NATO is preparing to attack from Afghanistan to destroy Pakistan’s nuclear plants and nuclear weapons and to break up Pakistan into bits and pieces – that’s their plan. Now that the Pakistani regime has realized that the moment of truth has arrived after all these years of foolishness – now they’re trying to build closer ties with Russia. Personally I think it’s too late now for them to do that. When Israel launches her attacks - that we all know are going to launched shortly - within the next few months I believe - the impact on Turkey is going to be very interesting. There is considerable resentment amongst Turkish Muslims of the behavior of the Turkish Government and the Turkish military in what happened in Libya and what is now happening in Syria. And so I am anticipating that once Israel comes out from behind the curtain and launches her wars that it’s going to provoke eventually Civil War in Turkey and that Civil War in Turkey I may have mentioned this to you in my last interview - that Civil War in Turkey will lead to strengthening of their alliance with Rum – with Russia. And your viewing reader, your viewing audience, Morris, will be fascinated to learn – that Prophet Muhammad saw also prophesized that Constantinople would be conquered. And he praised the army that will conquer Constantinople and he praised the military leader of that army. Now Constantinople was conquered in the 15th Century by the Ottomans Turks. And most of the world of Islam came to the conclusion that that was the fulfillment of that prophesy - but it was not, it was not! I’ll tell you why. Number one – the Ottoman Armed Force that conquered Constantinople was comprised of three different units. One was a volunteers – who actually joined the army for looting and the second was a well trained armed force from all different parts of the Ottoman Empire. But then there was a third unit and that was the elite unit – the best trained of all. And they were called the Janissaries. Do you know who they were comprised of? (No) It is one of the most shameful chapters of Muslim history that what the Ottoman did - was that all the territories of Eastern Europe that they defeated - they would seize Christian children from their parents and then convert these Christian children to Islam by force and then train these boys - in the best possible training and education and they became the personal army of the Ottoman Sultan. And these are the ones who fought to conquer Constantinople. That army could not be an army that was praised by Prophet Muhammad saw. The second point I want to mention is - when that Ottoman army conquered Constantinople guess what they did the first thing that they did? The sultan took the pride of the Christian world Hagia Sophia - the cathedral that was built by Justinian and for which for one thousand years had remained the premiere Cathedral of the Christian world – Hagia Sophia otherwise known as Hagia Sophia. And they converted it into a Masjid, or a mosque. It was an act, a shameful sinful, sinful act - unprecedented in our history. And so it could he could not be the leader to be praised by the Prophet saw. I could go on more than this. Sheikh Imran Hosein: The conquest of Constantinople is still to take place. The conquest of Constantinople that was prophesized by Prophet Muhammad saw – Allah’s Blessings be upon him - Morris is still to take place – it has not taken place. And I’m saying to you tonight that that conquest - which is coming is meant to take the city of Istanbul out of NATO. So no longer it will be a NATO city and Turkey will no longer be a part of NATO and that struggle - that struggle to take Turkey and Istanbul out of NATO cannot succeed without an alliance with the Eastern Christians. And so Iran is on the right path in forging her alliance with Russia. Morris: Yes, we are all looking to Russia more and more and more to stop the imperialist onslaught which revolves around a lot of pain and killing of innocent people, defenseless people. I’ve kind of questioned why – what the imperialist are really – we know that they like resources and to manage the economies - but are they - is assimilation a goal of Western imperialism, of NATO - to import people, to create refugees and create multicultural societies throughout the Western world – Europe and America. Is this a policy of NATO’s conquest ? Because the countries that are targeted – North Korea, Libya, Syria, Iran - they’re all indigenous people – they’re not multicultural societies. They are not societies where it is easy to get citizenship. And these are the societies that are our enemies. So I’m asking you whether you can see a social engineering need for assimilation enforced? Sheikh Imran Hosein: There is a racial agenda in modern Western civilization. Western Europe was not racist until Western Europe was infected with a certain virus that transformed it into a Western civilization. It used to be a Christian world – Christendom - and then Christendom was dismantled and in its place came this mysterious new actor on the stage of history - namely modern Western civilization. And modern Western civilization came on the stage of history with a virulent racist agenda. It was called‘ Jingoism‘ - it was “the white man’s burden to civilize the rest of the world” - and they made no bones about it! That all the rest of mankind have to become “copy and paste” of the modern West. You must eat the way we eat. It is uncivilized, Morris, to eat with your hands and with your fingers. All people ate with their fingers – this is divinely constructed cutlery! But no! Eating with your fingers is uncivilized and you must now eat the way we eat otherwise you will not be considered to be a “civilized human being”. You must dress the way we dress. You must no longer maintain your own native way of dress. And if you continue to dress that way and you do not put on the jacket and tie, collar then you are uncivilized – you’ve not reached the stage of civilization. And finally you must worship the God that we worship. And the God that they worship – for all intents and purposes - Morris, was a white man, yes! So all of mankind must follow not the Eastern Christian but the Western Christian - the one from the Vatican and so, and so this racist agenda was imposed upon mankind. We saw it flourishing in North America where the indigenous Indians were considered to be less than cockroaches – they were not human beings! We saw it flourishing in Africa. The slave trade before the West came was something bad – yes, but that slave trade was not as horrible as the slave trade that came from the Western world. And the primitive peoples of the world - around the world – people who live the primitive way of life - all over the world - in Australia, in New Zealand, in Canada. Now you see those who yesterday were a people who lived so beautifully in harmony with nature who had such good health that they could go into a river and catch a fish with their own hands. And now you see these people in blue jeans eating McDonald’s hamburgers and drinking whiskey! This racist agenda has been a part of the modern West from day one but it was not a part of Christendom. And so I think the time has come – for the historian to ask - from whence has come this virus which attacked Western Europe but not Eastern Europe – Western Europe but not Eastern Europe. And so what I see is history repeated itself – that at this stage they’re simply moving to the culmination of an agenda that they’ve been pursuing all these years for the last few hundred years. This is my Historian’s take on the subject. Morris: Well it seems reasonable, it seems logical that we are seeing something that is a continuation of the conquest of America, of Australia of the importing and transporting of slaves. We are still in the modus operandus. It’s not a shock, this is nothing new what is going today - the bombing and conquest of impoverished nations. I’ve being told that you have been referred to as a Sufi and I would like it if you could explain what this word means? 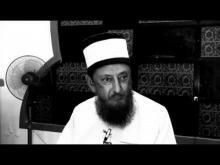 Sheikh Imran Hosein: It’s nothing new. The Jew, the Christian, the Muslim, the Hindu, the Buddhist are all familiar with that part of the religious way of life which may be describe - for want of a better word - as a spiritual life. The spiritual life is one which commences with moral purification. All of us will commit sin – none is without sin. But we make a distinction between big sins and little sins. Little sins - none of us can avoid and the Qur’an speaks about it Lama - minor sins. But if you have major sins, major defects in your conduct then that’s it you cannot pursue the spiritual path. Amongst the major sins would be to worship other than the one God. To oppress others – by lending money on interest for example or by transactions based on deception through which you rip off people - like your modern paper money or by committing acts of adultery, fornication because in adultery and in fornication you are destroying the family – you are destroying the life of a child - you’re destroying a home - that’s why adultery and fornication is a major sins. It’s not just a few moments of lust - it’s more than that – it’s the destruction of the family. So these major sins stand in the way. And when you live a life of moral rectitude and you’re away from the major sins - even if you still have some minor sins – it does not matter - you are on the path. You can now pursue the spiritual growth. And spiritual growth is realized, spiritual growth is realized when light enters the heart - light. Every religion knows about this. Judaism has created great spiritual luminaries. Christianity has created great spiritual luminaries - Hinduism has done the same thing, Buddhism has done the same thing – it’s nothing new. But there are stages to spiritual growth. When you get a little bit of light in the heart then the internal eye can see. Those who today control power in the world are people with Masters and PhDs in deception. One of the acts of deception is, of course, called “false flag terrorism”. And if you do not have internal sight - you will be taken for a ride and you will make your judgments based on appearance. But when you have internal sight you will go beyond the external form to the internal reality and then you’ll know actually what happened. I was in New York on the morning of 9/11. I went to Kennedy Airport at 7 ‘o clock that morning to pick up someone arriving from Pakistan. And when I had to drive from Kennedy to LaGiardia Airport and when we arrived at LaGiardia Airport we were told all flights were cancelled – we didn’t know why. And then subsequently the announcement was made - the airport is closed, get out of the airport – we didn’t know why. When I got back home then I learnt watching television about the twin towers. And as soon as I saw what happened on television I was immediately able to grasps intuitively – immediately that this the work of the Israeli Mossad and the CIA and this is history repeating itself. That this is what happened one hundred years earlier in 1914, in the summer of 1914 - the assassination in the city of Sarajevo of the assassination of the Grand Duke Franz Ferdinand. That false flag terrorism led to the First World War and through the First World War the Zionist agenda was fulfilled. And I was able to recognize this as false flag terrorism and that this is going to lead now to great wars and these great wars are going to be waged so that Israel can benefit from them. This is called spiritual insight – because I don’t have the evidence before me – No! It is insight. So Sufism in its essence is the spiritual path through which the heart which has been purified of moral, major, moral defects and which has now reached the stage of moral rectitude – that heart can now receive light from the Lord, from Allah swt and as light enters into that heart you’ll now have the capacity for internal sight. The scriptures all speak the same words. That there are those who have eyes and yet do not see, there are those who have ears and yet do not hear, there are those who have hearts and yet do not understand - they’re just like cattle - this is epistemology. And so when you pursue the path of Sufism or Tassawuf it should lead you and give you the capacity eventually to recognize the modern, modern monetary system of bogus and fraudulent paper currency and the even more dangerous electronic money that is coming. You should be able to call a spade a spade - recognize it as a spade. The tragedy of the age in which we now live Morris is that even those who call themselves “Sufis” cannot recognize the reality of the world today. Something has gone wrong with the methodology of the spiritual quest here. - on the comment you made of false flags. There were documented false flags in Egypt and Iraq of Jews, Israelis creating - making Jews go to Israel by putting off bombs and you know blaming the Arabs for doing this when it was Jews caught red handed on occasion. But in a similar manner we see 9/11 and I would imagine most people in America or in the world believe it was a false flag – you know. But everyone is so powerless now, no body is able to do anything. And the internet – I work with it but in a way it’s our enemy – it’s stopping people really going out and protesting - you know? Sheikh Imran Hosein: No it’s not correct to say that we are powerless and we are doing nothing, we cannot do nothing. I think it was just hours ago, maybe yesterday that the Chief of Staff of the Russian Armed Forces made a declaration that Russia might have to take pre-emptive action - following in the footsteps of Uncle SAM, following in the footsteps of Israel - following in the footsteps of those who have given to the world the military strategy of pre-emptive strikes. It was a beautiful statement from the Russian Chief of Staff that we might have to make a pre-emptive strike if you continue making a ring around us, a missile ring which we perceive to be endangering our security. Israel is saying that the development of nuclear power in Iran threatens Israel’s security. If that is a valid argument then the Russian argument is also valid. If Israel can launch a pre-emptive strike against Iran then Russia can launch a pre-emptive strike also against all of those missiles that have been placed around Russia. It was a beautiful statement on the part of the Russian Armed Forces Chief, yes! And don’t forget - couple of days from now, Vladimir Putin takes over as president of Russia and he’s already given them a bloody nose in Georgia. So they know who they’re dealing with. Putin is not going to bend his knees and Russia is not going to bend its knees – No! And China is forging an Alliance with Russia. And so we’re not sitting down and doing nothing. We are watching before our eyes a scenario being unfolded in which those who are hell bent, with a pigheaded obstinacy of ruling the world - even if it must lead to nuclear war fare - even if billions of people must die – it doesn’t matter! These people who are essentially mad want to rule the world. And Russia is saying - you’re not going to do it to us. And so it’s not demonstrations that are going to change the situation today. You just have to a look and see what Russia is doing. Morris: Well the statement is bold – I’m not entirely familiar with it but I guess it’s rearming and modernizing its military. Is that what you mean by looking at what Russia is doing? Sheikh Imran Hosein: No I’m saying that the situation is not one in which there is no response – that we are sitting down in a state of helplessness. I want the viewing audience to know that a situation is evolving in the world before our eyes - and we must understand it - that the two major powers in the world are now moving in a collision course. That collision course between these two major powers – the American led Alliance and the Russian led Alliance is going to lead to nuclear warfare of such a magnitude that there’s only one word that we can look for in the vocabulary to fit it and that’s called Armageddon. That is - millions and millions and millions are going to die. Most of them probably North America and Europe - Europe of the East and Europe of the West. And what is left in the world after that - the Zionist hope that they can cope with it and they can somehow survive and come out top and Israel will rule the world - the rump that is left after the two giants engage in a war of mutual destruction. That is what we’re facing now Morris. Morris: It strikes a chord – you are on the zeitgeist always. Sheikh Imran Hosein I’ve no more to ask you. It has been so much to take in and very easy to follow you and it is enlightening the entire experience to hear what you say. I’m ever so thrilled and I do believe you said a couple of things which are new for us all to hear from you. Sheikh Imran Hosein: I’ve got more to say. Morris: Please … (I forgot to say it) - Please . Sheikh Imran Hosein: I want Eastern Europe to listen to me and I want Russia to listen to me. That on that day when Muslims conquer Istanbul - the conquest was prophesized by Prophet Muhammad saw – Allah’s Blessings be upon him – the first thing that we will do is to return the Church - the Cathedral Hagia Sophia - return it to the Christian world. And when we return it to the Christian world we’ll have to return it with an apology. An apology for six hundred years of Muslim worship in that church when it should have been a church - not a Masjid. And then when Mustafa Kamal took it over - he added insult to injury - he took the house of God and made it a museum. So the first thing we’ll do is to return Hagia Sophia to the Christian world and I pray that Allah Swt may cause these words of mine to reach to Bulgaria and reach to Greece and reach to Romania and reach to Hungry and reach to Poland and reach to Russia. The second thing that we’ll do is to recover the old name of the city. It was Constantinople. Constantine is the one who built the city. The Emperor Constantine gave it the name - Constantinople. There were other names which were used like Istanbul - but the name by which the city was known all around the world was Constantinople and when our Prophet saw spoke about it our Prophet saw used the name Constantinople. He said in Arabic “Latafta hannalconstantinia” – that you will most certainly conquer Constantinople. And so when we take over that city once again in the name of Islam the name of the city will return to Constantinople. At that time we’ll be in Alliance with Russia. So it will no longer be a NATO city. And so Russia will have a passage through the Bosporus - for the Russian Navy to enter into the Mediterranean - and that spells trouble for Israel – that’s all I want to say. Morris: There is a treaty allowing Russia to send some ships to the Mediterranean - but there’s a limit. Sheikh Imran Hosein: That’s right, that’s right. Morris: Well I hope some Israelis will look at what you have said as well and maybe think about what is going on. Sheikh Imran Hosein: There’ s some Israelis - there are some Israelis are waking up and they are and they’re realizing that this mad cap government that they have is leading them to disaster and they don’t know how to stop it. Morris: I think the main news at this time unfolding is in Lebanon. There is a – they’ve found weapons being smuggled in – a big ship full and there’s fighting. And the Lebanese army is trying to side with the Syrians really. I wonder if you can see, predict or have any insight into the unfolding events there? Sheikh Imran Hosein: Well I’m happy that we are beginning with this subject Morris - because on the occasion of the last interview I - I did make the statement that I considered - some of those not all –who were in armed rebellion against the regime in Syria. I consider them to be terrorists. And that statement has provoked some responses from people who felt the sting of it. I have no regrets of having made that statement. Those who are in alliance with the Zionists - either directly - through NATO or indirectly through Saudi Arabia, through Qatar and other states or allies of the Zionists and who are being funded and armed directly and indirectly by the Zionists in their armed insurrection against the Syrian regime and who are committing acts of violence and slaughter - acts of terrorism - which using any yard stick qualify as terrorism must be identified as terrorism and I make no apologies for that statement - that they are terrorists - they must be condemned as terrorists. The news that arms are being shipped into Syria through Lebanon, as you have just mentioned, does not surprise me. I think Turkey has played, perhaps, the dirtiest role of all - this is not the language that I normally would us. But I have to use this language now - it’s a dirty role being played by Turkey and someone has to stand up and tell the Turkish Government that - to their faces. That arms and ammunition are being infiltrated into Libya - the same way - and the purpose was to bring down the Libyan regime which was – a regime which was an obstacle in the part of the Zionists. And the same thing now in Syria so that the Arab Spring can be revisited it happened a hundred years ago, I said to you Morris, and now again so that regimes which are friendly to the Zionist or clients with the Zionist can now replace – like those in Libya and Syria. So we are seeing a return to the Arab Spring and we know that on this occasion the outcome is going to be different. On the last occasion it was a ‘walk over’ – they achieved all their objectives. And they were able to establish a State of Israel in the Holy Land and consequence of that first Arab Spring. But on this occasion their stakes are much higher. On this occasion they’re doing these things so they can cause the State of Israel to become the ruling state in the world – replacing the United States of America. This is a branch of knowledge that is known as Eschatology and I am speaking from Islamic Eschatology and those who know would know that I’ve been expressing these views for the last fifteen-twenty years. That Israel is now going to make an effort – or the Zionist are now going to make an effort to cause the state of Israel to replace the United States of America as the ruling state in the world. The difference between the first Arab Spring and this Arab Spring is a man named Putin and a country named Russia. And I have a Russian student here with me here tonight - he’s a student at the Islamic University. The Deputy Prime Minister of Spain – the former Deputy Prime Minister of Spain revealed a few days ago a conversation that he had with Putin - I don’t know how many years ago - he must have taken it out of a museum - that he spoke to Putin about the sale of Russian missiles to Iran and was trying to convince Russia not to sell those missiles to Iran. And he said that Putin said – “Don’t worry about that – Israel will take care of Iran ” - those were his words. Well I think they have a surprise coming their way - if they think that Israel and Putin are friends of each other. Because on this occasion the attack is not only on Syria - and they’ve not been able to succeed in Syria largely because of Russia and China – the attack is also on Iran and because they are so obstinately - and I choose my language carefully – they have a pigheaded obsession of ruling the world - the implication is that regardless of consequences – even if it’ s going to be nuclear war, even if millions and millions and millions are going to die - Israel is not going to be hindered. They’re going to continue - pigheadedly - with the effort to subdue Iran and Pakistan and Egypt and Syria. And in the process they’re going to cross the line - and when they cross that line they’re going to confront Putin - that’s the comment I want to make. Morris: You mentioned Turkey just now – there is a man quoted as being an Islamic leader in America called Gülen and he is said to be influencing the Turkish policies – are you familiar with this man? Sheikh Imran Hosein: I am familiar with the game plan - I am familiar with the game plan. But Morris in the Qur’an Allah swt says “They plan their plan and I plan My plan and Mine is a better plan”. I want to share with you now one of the prophesies of Prophet Muhammad saw – Allah’s Blessings be upon him - that the viewing audience would be fascinated with. He said - about the end time – he said that at that time when Jerusalem will be flourishing - and Jerusalem is now flourishing - Jerusalem is now centre stage in the affairs of the world. He said that at that time when Jerusalem would be flourishing - Umran ubaitulul maqdis - at that time the city of Medina - where the Prophet saw is buried – which used to be called Yathrib – at that time that city would be in desolation – meaning playing absolutely no role whatsoever in world affairs or in the affairs of the world of Islam. And that’s where the city of Medina is today. So he’s talking about today. So at that time when Jerusalem is flourishing – Yathrib or Medina would be in a state of desolation. At that time - he said - the great war will occur. And that great war is going to lead to the conquest of Constantinople. And so the conquest in 1455, I believe, of the city of Constantinople by the Ottoman Turks - was a flash in the pan – it’s not the one that’s coming – the one that’s coming is the one that’s prophesized. And when that conquest of Constantinople takes place, of course, the implication will be that NATO will be thrown out and if NATO if thrown out of Constantinople – that’s to Russia’s advantage. When Constantinople is conquered he said - that is the time when the Anti-Christ will make his appearance – meaning - make his appearance in our world of space and time - in the form of a human being. And so Turkey has a prominent role to play in world affairs and in the affairs of the Muslim world in the very near future. And in Turkey it is the city of Constantinople that’s going to be centre stage. I believe it was because of this prophesy that Mustafa Kamal and his secular Turkish Nationalist decided to change the name of the city from Constantinople and to give it one of the other names that it used to have - namely Istanbul. So, I know about the game plan from the United States - from the Turkish community in the United States. And I know about the link between that one and the present government in Turkey and the party which has brought this government into being. But they plan their plan and the God above plans His plans. And as soon as Israel launches her attack and NATO participates in it, on Syria, on Iran on Pakistan and on Egypt. I have been saying that there is going to be a very strong negative reaction in Turkey and it is going to provoke Civil war. You are aware of these views of mine aren’t you? Morris: You know - I see the Western world going around the world bombing - particularly the Islamic world - but it’s also been involved in other wars in Asia, Korea, Vietnam. But all the time what it’s doing is actually creating refugees and importing them into the Western big cities - into America the United Kingdom. And I wonder is this not really an essential part of their war aims to assimilate indigenous people and to break up closed communities that occur naturally in the Islamic world - for example in Afghanistan. Are they not out to socially engineer a class of person that has no tribal loyalties and no attachment to the land? Sheikh Imran Hosein: I want to introduce you to a terminology with which you would have been familiar when you were a school boy. What they’re doing is they are creating carbon copies of themselves - you know about carbon copies? (Yes!) The entire effort is directed towards reproducing their way of life all over the world at the expense of indigenous ways of life. This is not happening by accident. This is an essential dimension of what is called globalization. It is not simply a matter of creating a world government and one of the first important steps in that direction of that world government was the western armies that launch wars all over the non Western world - wars of aggression to colonize, colonize India, colonize Africa, colonize Malaya, colonize South America and as you colonize these non Western societies you then establish institutions which will allow you to continue to influence them and to change them by proxy. So you can decolonize and get them to believe they are no longer colonized and they now have economic freedom. But that’s just dust in their eyes – you are actually ruling them by proxy. There was also the educational dimension of this process of westernization - political, economic, educational, cultural - even cuisine. I was just mentioning to the Pakistani student who is here that Pakistan produces very tasty bread. They call it Naan - have you ever tasted it? (Sure – Naan bread). Naan bread and they also have chicken and they marinate the chicken this evening and they call it Chicken Tikka - it’s a delicious meal (Yes). And after they’ve finished with the brain washing of the Pakistani people they then establish a McDonald outlet in Karachi and there’s a line five miles long – when the Chicken Tikka is far superior to the McDonalds. This process of westernization is taking place because there is sinister agenda at work - and that agenda is to transform all the rest of mankind into carbon copies of the new western man. Europe used to be Christian. And there was a time when Europe had values - Christian values. But then came the change - and I would direct attention, for example, to the Crusades - where a western Christian Church – not the East Christian Church the western Christ church is now infected by a very mysterious virus – I don’t know who imported the virus to Rome to the Vatican and this virus causes the Pope to launch Crusades. And guess who are helping to finance the crusades? The European Jews are helping to finance the Western European Christian Crusades. So there is a transformation which is taking place in Europe where formally you had a Christian world of values and it is now being seduced and a new Christian world a new Western world is coming and they call it ”modern Western civilization” and it has more power than the world has ever seen before. And it is this Europe – not the previous Europe that was called Christendom - it is this new actor on the stage of history that wants to transform all of mankind into carbon copies of itself - what is the explanation of this? Our Islamic Eschatology tells us about Gog and Magog. And you cannot understand Gog and Magog – you cannot understand Gog and Magog unless you know about politics. Gog and Magog are human beings. They’re created by the one God. They are given an indestructible power so you can’t defeat them - you can’t destroy them - only God can do that. And on the one hand they corrupt the world – everything is corrupted. And on the other hand they act on behalf of Israel. They’re the ones who bring the Jews back to the Holy Land a thousand years after they were expelled. They are the ones who make it possible the restoration of the Holy Land (Yes). And the Prophet spoke about Gog and Magog and he identified them to be the people who are at the back of this globalization process. The destruction of indigenous cultures that we have spoken about and bringing all of mankind into one melting pot one cultural melting pot and it is an essentially Godless melting pot, it is an essentially decadent melting pot. He said none of them - Gog and Magog – none of them dies without leaving a thousand more behind – a thousand more like them. So each one will create a thousand carbon copies of themselves. I would be happy, Morris if I can leave the world with five students to continue my work after me - I would grateful for five! But they - they leave a thousand behind. This is the work of Gog and Magog. A young lady in Pakistan - the Islamic Republic of Pakistan. She is born in Pakistan - she lived all her life in Pakistan - but she speaks with a perfect American accent. Sometimes her accent is better than the Americans themselves - and she’s proud , this Pakistani girl – she’s proud of her American accent. How do we explain this? Gog and Magog do not die without leaving a thousand behind. And among those thousand are a couple of Pakistanis and among those thousands are a couple of Egyptians, couple of Chinese, couple of African. This is our Eschatological explanation of the phenomenon of the destruction of indigenous cultures. Morris: You know in the West there’s a lot of intrigue about the secret societies, the Illuminati Bilderberg Groups and many names are thrown around and people sort of swallow it in my opinion ‘cos I don’t really buy it – but I wonder if you can give any insight. I don’t really believe these secret societies are at the top of the pyramid of power – that they’re really the Gog and Magog - if you like. But it is an open argument - do you feel that these secret societies have much power in the world? And then you have the Israeli Mossad and Iran had her Savak and so it has become fashionable now to conduct your affairs in a duplicitous way. That you have the formal country in its jacket, tie - black tie and presenting to the world a respectable image. And then you have your Mossad and CIA to attack America on 9/11 and then put the blame on Arabs and Muslims. This is what you’re talking about with Freemasons and Illuminati - secret societies which do the dirty work that they want done but don’t want to have their faces and their hands soiled - don’t want their image to be soiled. But it’s more than that – the Qur’an tells us that these are a people who have links with a world which is beyond our normal observation. It has not been fashionable in universities to teach about ‘Angels.‘ Have you ever heard a university giving a lecture – it’s not fashionable in universities to teach about that transcendental world in which exist the Angels and in which exist what the Qur’an call the Jinn and there are Jinn who are evil and they are Satans. And these underground secret societies maintain links with that invisible world. And they have Satanic rituals that they have to perform in order to maintain their link with that Satanic, invisible world. And so when we speak about these occult societies – about Freemasonry and Illuminati - we’re not only talking about misguided people acting in a duplicitous way. People who do the dirty work in secret that cannot be done in public. But we are also talking about people who have links with the invisible world and who use those links for evil purposes. Morris : Would you use Talmudic Jews within these occult secret societies? Sheikh Imran Hosein: I believe that there would be some substance to the claim that in the Talmud you have some corruption of what was given in the Taurat to Moses as and that you certainly have some of that link with the occult emerging out of the Talmud – yes. Morris: Thank you – yes personally I ’d put them at the very top of all of the secret societies. In Islam free mixing is not really permitted. And the West is always talking about Human rights. You know? I don’t live in a bad neighborhood but I can see drunks in the street and I’m they’re very proud of the human rights they have to drink in public and behave like they do. I would like you to tackle and explain the issue of free mixing and I do believe this is a war aim that free mixing must be instilled and everyone must go through it and have it. Sheikh Imran Hosein: Well we are not a people who are prepared to take another man’s wife in our arms and go dancing with her. We are a people who believe that there is a certain prohibited space between the male and the female. That prohibited space is not only physical – not only spatial - it is also moral, it is also social. But if you went into the home of Prophet Muhammad saw Allah’s Blessings be upon him – and you sat down - one of his wives will come and serve you – he didn’t have any Indonesian maids – because in that time we didn’t have paper money to impoverish a people put them into slavery – so Indonesian maids now have to work for a slave salary. So one of his wives would come and serve you. She’s not prohibited from that. We are permitted to sit with women and converse with them. But it must be on subjects which are within the realms of modesty and chastity. And so the prohibited space will prohibit conversation which will be considered to be morally negative. But when it comes to male, female relationships in Islam - I think we’ve got a few lessons to teach modern Western civilization and to those who had problems with Monica Lewinski. When we build our Muslim villages any woman who comes to our village – and, Morris, not all women are beautiful – you know that! When we build our Muslim village and a woman comes to the village and she says that I want a husband – somebody has to marry her. And so we do not have in Islam this conception that a man must have only one wife and good men have only one wife. In Islam it is the right of a woman to have a husband. In fact we place far more emphasis on her right to have a husband than his right to have a wife. And so any woman who comes to our Muslim village and she says that I want a husband - somebody has to marry her, somebody has to marry her. And so you do not marry only because of physical attraction, you do not marry only because of chemistry - you also marry because of compassion – you also marry because of a moral obligation to take care of women, to take care of children. And so our Prophet saw Allah’ Blessings be upon him would have a number of huts in a circle - these are not like palaces in West Palm Beach these are huts! And each wife would stay in a hut. And the women have a wonderful life amongst themselves. And a man would maintain all his wives – the Qu’ran placed a limit of four wives. But you may marry only on the condition that you have the means to maintain them and that you show some equity - you do not discriminate in favor of one and against another. In our system of plural marriages and in our system where there is a prohibited space which must not be violated - we have succeeded in establishing stable families and in preserving the family unit in consequence of which there are far less divorces, far less broken homes, far less children of broken families. And at the time of Christmas you’ll see a boy in the supermarket looking at the greeting cards. And after he’s gone then you go to see what was he trying to buy. And there you see he’s trying to buy a Christmas card - and the Christmas card is for Daddy’s wife and Mummy’s husband – because it’s a divorce and daddy has married somebody else and mummy has married someone else and he’s left out in the cold. Western civilization can learn some lessons from the male-female relationships in Islam which has successfully established the stable family unit and that stable family unit is the foundation of a stable social order. Wherever the Western world has gone with its male-female relationship – its feministic revolution – society is crumbling, society is disintegrating. And the only reason why people cant recognize it is because you have CNN and ABC and NBC and the newspaper and radio and television to constantly, constantly distract their attention so they have capacity to think from moment to moment – the thinking capacity for deep thought has gone - brainwashed minds can only think from moment to moment. the Arab world just now - maybe in Pakistan too - is it not rather disruptive? Sheikh Imran Hosein: There are two terms that I use – one is Wahabi and it is used because the name of the founder was called Abdul Wahab and so from Abdul Wahab - they’re called Wahabis –people who follow Abdul Wahab are called Wahabis. But they didn’t like that term and so they have coined another term - they have called it Salafis and this referred to the early community – like you had the early Christians so too do you have the early Muslim community and they say that our, our Salafi community is one which struggles to restore the way of life of the early - early Muslims the Salafis. But you’re question is directed towards the political implications of the emergence of the Wahabis in Saudi Arabia and without any question of a doubt this was a marriage of convenience between a religious movement that was in very much respects similar to the Protestantism in Europe. A religious movement which was turning away from the spiritual heart of the religious way of life and was restricting the religious way of life to the following literal interpretation of only text. Religion is founded on text – T.E.X.T and these text must be understood literally unless interpreted otherwise by the Prophet saw himself and by the companions. It led to a kind of blindness and as a consequence this marriage of convenience between the religious movement and the political movement led by the Saudi family - eventually made an alliance with Britain in the first Arab Spring - when Britain was looking for pro-Western Government to rule over the Arab world. And they successfully installed in the Arabia a proWestern regime called Saudi Arabia. This was the first sign - first major sign of a, of a blindness – a religious blindness in the Wahabi movement – the Salafis - that they could stand up and offer a masculine challenge to this betrayal of the Prophet saw and betrayal of Islam in a Saudi Arabia which has become an ally of modern Western, the modern West and as a consequence an ally of the Zionist. That Wahabi blindness has continued to this day. Because Saudi Arabia has now become – has come out from behind the curtains and Saudi Arabia has now become a strategic ally of the state of Israel and so to of the State of Qatar and as yet we do not have - there are voices of dissent in Saudi Arabia definitely. And there are many Saudis who are now listening to me – yes! But the Saudi religious establishment continues to display a pathetic blindness and an incapacity to recognize the betrayal and to stand up and to denounce it and to struggle to liberate Arabia from the hands of those who have taken it into the bosom of Zionism. This is my political assessment of the Wahabi movement. Morris: Well, finally perhaps I can ask you about Russia’s stance - it’s becoming more and more bellicose – it’s complaining about Israeli air raids in Lebanon or mock air raids I should say and training Syrian opposition in Kosovo I don’t know it just seems that Russia’s really -Putin is not even turning up for the NATO summit you know? Can you hear me? ... Hello? Sheikh Imran Hosein: I think Russia has, yes – Russia has drawn a line in the sand. Russia has drawn a line in the sand. If you cross that line you’re going to face us. That’s where we are today. Putin is making it clear that if you proceed on the course on which you are going to end up with a nuclear war on your hands. In our last interview -you remember - that the Russian Chief of Staff has spoken about a pre-emptive strike - you remember? (Yes). So they are making it very clear – I think China as well both Russia and China – that there is a line that you may not cross and if you cross that line - of course Israel is going to cross the line – no question about it – you’re going end up with World War on your hands. That is what our Prophet saw has spoken about as Malhama - it comes after Jerusalem is centre stage and Medina is in a state of dissolution then you get the Malhama - that’s where we are now. And that Melhama or that great war -which is coming - is going to lead to the conquest of Constantinople which is a fascinating subject Morris – that conquest of Constantinople. Morris: Only today Medvedev also warned of a possible nuclear war - so things are heating up. And I forgot to ask you about Iran – it is now supplying Turkey with more energy, more oil and more electricity in the face of the sanctions. Perhaps these P5+1Talks that are taking place with Iran are supposedly about nuclear power but probably have nothing to do with it. I mean - I think its relationship – if Iran is supplying Turkey with more energy and they just had the P5+1 Talks in Istanbul - perhaps there’s a connection. Sheikh Imran Hosein: I don’t think the Turkish Government has ever concealed its position of disagreement with the sanctions on Iran. The Turkish has never concealed its position on that. And in the same way that India has responded by entering into direct negotiations with Iran and to bypass the banking system. Turkey feels absolutely no reluctance - no need to do otherwise. And Turkey is also following in the path of India in respect of economic ties with Iran. Morris: I’ve, I’ve no more to ask you now. Is there anything that I should have asked or I could have asked – anything you’d like to add? Sheikh Imran Hosein: Yes - well - our Muslim audiences in Turkey and in Morocco, in Algeria, in Pakistan, in India, in United States, in Canada in Australia in Britain - we have one from Britain right here - they want to know something about you - so why don’t you tell them something about yourself? Morris: Well, you know I keep wondering around, I don’t grow roots but I land on my feet and I tried many careers. I grew up as a Jew. My parents travelled a lot – I don’t keep the identity. And this is a very honorable moment to have an interview with the Sheikh Imran Hosein and I’m doing my very best on the Youtube channel and I’m not married – the most important thing I left till the end - so you can always write a message on Youtube to me. Sheikh Imran Hosein: It is something refreshing Morris that you and I can dialogue – you and I can exchange views in a non hostile, non combinative relationship like this. It sends a message to the rest of the world that it is still possible for us to salvage something that we had yesterday. When men of ideas can sit down together from the East and from the West and have a civilized conversation before the Zionist media took over in launching their nasty war on Islam - to try to paint Islam in the ugliest of all colors. it is refreshing, it is exhilarating to find in you Morris someone who is not prepared to accept that paint job. Morris: Well it’s been an absolute honor for me. I can’t thank you enough.